The system has broken down. Crossing into Canada illegally from the United States is not a legitimate act, and it is illegal – regardless of what the disloyal open borders elites try to say. For a long time, the Trudeau government attacked anyone who raised questions about illegal crossings. The Liberals claimed that the system could easily handle it. Of course, we’ve seen that the system can’t handle it. Canadian taxpayers are getting screwed over, as people who illegally entered our country are getting services funded at taxpayers expense. And now, it’s become clear that the refugee system is crumbling. So, the system has crumbled because of Trudeau’s unwillingness to enforce Canada’s border. The government said this would never happen. 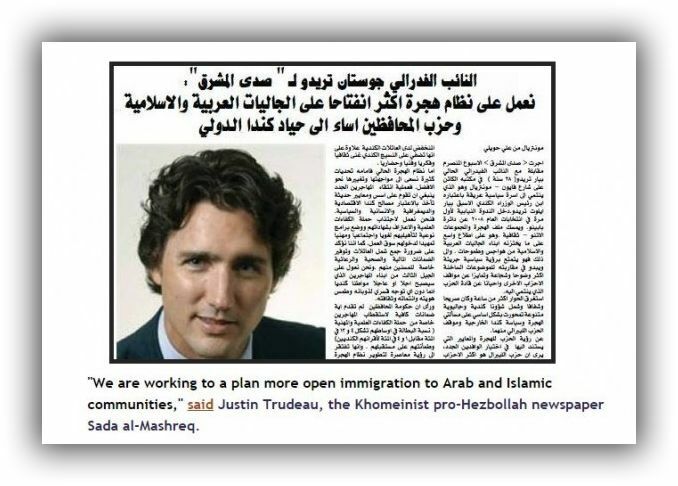 This is yet another lie of Trudeau that has been exposed. The refugee system is meant to handle a certain amount of claims per year. That requires a controlled border. If the border is not controlled, if people are allowed to cross illegally, then the system can’t cope and it breaks down. Also, the surge of claims aren’t even legitimate. People crossing into Canada from the U.S. aren’t legitimate refugees, and the more the system is overwhelmed by illegal crossings, the more that legitimate refugees (like Christians in the middle east), get pushed back further in line. Trudeau has broken the refugee system, and it’s yet another example of the damage he’s doing to the country. Spencer, take a look at this photo and read what he says about his plans on ‘immigrations’. As you can see he is doing just that. All the Lieberals should be packed and sent to live over there with the people they claim to care about and just let them try their fake virtue signaling. Then we can put our country back together again, hopefully. The two horns are missing. Canadians fully deserve whatever happens to them. Vote for incompetence will bring many lasting negative effects. Are you Canadian? Did you vote? Excellent statement as a title! All we need to know is that those illegal immigrants ARE NOT REFUGEES. I might be wrong, but I seem to remember a newsclip about Saudi Arabia donating millions to the Trudeau Foundation or the Liberal Party prior to the 2015 election, just before the legal cut-off deadline according to federal election rules. Anyone else remember?